For people that have bad or no credit, getting an auto loan in Los Angeles can be challenging. If you need to get to and from work or college then a bad credit auto loan may be your only option. Unfortunately, in LA, there are thousands of lenders and finding one that doesn’t impose incredibly high interest rates for bad credit car loans is tough. Luckily for you, there is now a mound of resources you can use to find the best auto loans for bad credit. At CompleteAutoLoans.com, we work with an extensive repertoire of lenders that offer loans with reasonable interest rates and fees. Our goal is to help match you with a lender that will give you back the freedom to go on your day-to-day without any additional financial stress. While most websites request a small fee in exchange for their service, at CompleteAutoLoans.com we do not. We know that if you have bad credit the last thing you can afford is to pay more money to get a fair loan. As a result, all our tools and resources are free of charge for you to use at your heart’s content. Our only objective is to find you a bad credit auto loan without having to worry about hidden charges. While we do not charge any additional fees to use our services, the same cannot be said for certain lenders. All auto loans for people with bad credit incur some form of interest rates or fees. That being said, some offer more reasonable loan terms than others. With this in mind, it is important that you do not simply look at the price tag of the car when calculating how much money you need to borrow. To calculate your loan amount and rates, make sure to take into account the price of the car as well as the monthly fees and any other charges. Before settling on a loan, do your research to find a lender that offers fair rates and reasonable payment terms so that you can improve your credit score with your loan. One of the best ways to get a bad credit auto loan with good terms is to improve your credit score before applying. You can do so by making sure that you make all your monthly bill payments on time. You could also do your utmost to make payments towards any loans you may already have. On the other hand, if you can’t wait to get a car, then use your bad credit auto loan to increase your credit rating. By making all your monthly payments on time and in full, you’ll find that your credit score will get better, and with the right lender, you may be able to refinance your loan in order to reduce the interest rates you currently pay. 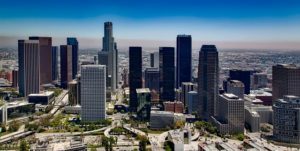 Also referred to as LA or the City of Angels, Los Angeles is the biggest cultural, financial, and commercial hub in Southern California and the West Coast. Home to Hollywood, the land of fame and fortune, LA is the home of motion pictures. The city also hosts the annual Academy Awards, a key reason why aspiring artists dream of being in the spotlight in this city. In addition to being a hub for movies and performing arts, there are nearly a thousand museums and art galleries in LA making it the city with the most museums per capita in the entire world. No matter what your reason for living in Los Angeles, having a car to move around makes all the difference. Certified Auto Import Sales, Inc. If you need a bad credit auto loan but don’t know when to start your search, visit us at CompleteAutoLoans.com. Aside from providing you with a mound of free resources, you can apply for a loan with reasonable fees in your area directly from our website by using our online application tool.